Sweet potatoes are among the few nutritious forms of carbohydrates that there is. They contain low levels of sodium, cholesterol, and fat but have increased amounts of vitamin B6, potassium, manganese, vitamin A, and fiber. 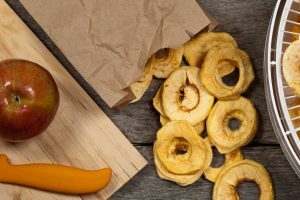 If you want all of these nutrients in your snack, find out below how to dehydrate sweet potatoes in a food dehydrator. 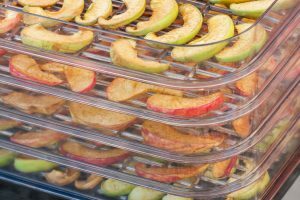 By dehydrating sweet potatoes, you will get to enjoy a healthy, delicious, and fulfilling snack that you can store for long periods of time. Another great thing about dried sweet potatoes is that we are not the only ones who appreciate how appetizing it is, even puppies and dogs enjoy it too. Drying sweet potatoes is a great way to make sure that a healthy snack is always available in your home. The skin of sweet potatoes are very nutritious and also adds a little flavor, so opt for ones that are pesticide-free as much as possible. 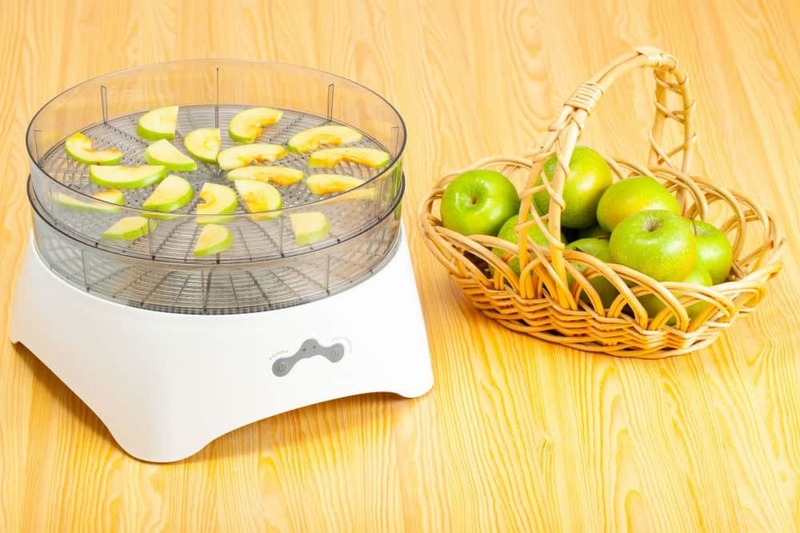 There are different kinds of food dehydrators, and each one offers a list of benefits and disadvantages that might make or break it for you. In drying sweet potatoes, there are many who have also tried and succeeded in using a conventional oven. As mentioned above, sweet potato skins are very nutritious, so you can choose not to peel that off if you would like. Depending on your preferences, you can slice or shed or do a mix of both for added variety. 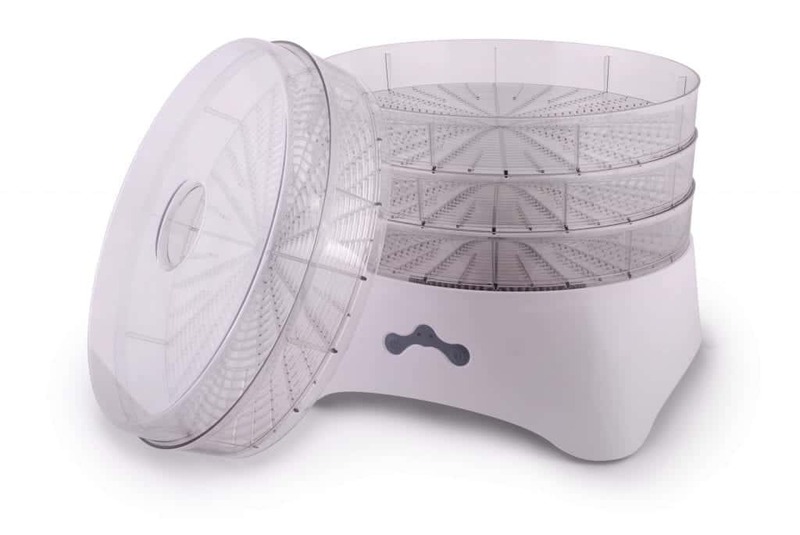 When it comes to drying sweet potatoes, some choose to steam or blanch it before it is pat dried and put inside the dehydrator. This process is done so as to eliminate certain enzymes that can cause the food to spoil easily. You can also choose to add oil, pepper, salt, and seasonings for flavor. 1. Naturally, the very first thing that you would need to do is to wash the sweet potatoes. It is advisable to use water and a vegetable scrubber in order to remove the dirt from its skin. 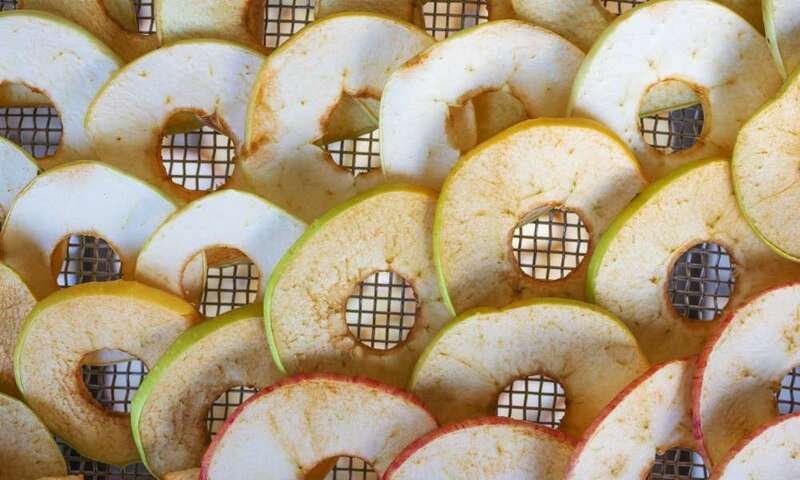 Before putting it in the dehydrator, pat it dry with a clean towel. Also, avoid unnecessary touches to lessen the transfer of oils from our skin to the sweet potato. 2. After the sweet potatoes are cleaned, prepare your sharp knife to cut it into thin slices. You may also use a mandolin to ensure that each slice is as thick as the others, which means they will dehydrate at the same time. 3. Steam or blanch the sweet potatoes until they are tender when poked using a fork. The color should turn brighter than it was before. If you are making shredded sweet potatoes, then there is no need to steam or blanch them. You can also choose to soak it in a bowl full of room temperature water. 4. Dry each piece of sliced sweet potatoes using a clean paper towel. 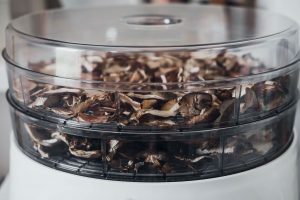 Make sure that they are completely dry before you put them in the food dehydrator. 5. In this step, you can opt to drizzle a small amount of olive oil or coconut oil onto the sweet potatoes. This extra step will ensure crunchier chips. You can also add seasoning by adding spices and herbs, depending on what you want, of course. You can try cinnamon, sea salt, black pepper, cayenne paper, rosemary or thyme, smoked paprika, or powdered onion. 1. Using the food trays, lay out each piece of the sweet potatoes, making sure that they are only one layer thick and that there is no overlapping. This is to ensure that every slice is going to get evenly dried just like the rest of the batch. 2. Before stacking the food trays inside, allow the dehydrator to warm up to the desired temperature setting. In this case, set the temperature level at around 140 degrees Fahrenheit. 3. Sweet potatoes are fairly easy as compared to other tasks. If you want to do it quickly, set the timer for 12 hours. You can add more time until your desired crispiness is achieved. 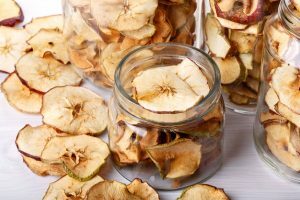 For a slower process, dehydrate it for about 20 to 24 hours. Always remember to check on it from time to time to ensure that they do not get overcooked. 4. Once your desired crispiness is already achieved, allow the sweet potato chips a couple of minutes to cool down to room temperature. After which, it can now be stored inside a mason jar, an airtight re-sealable bag, or your favorite container. If you did not add any oil, this batch could last up to 12 months. 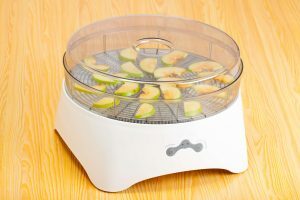 Aside from sweet potatoes, there are tons of other foods that you can dehydrate using your trusted food dehydrator. One such example is fruits, which can then be added to salads, granola dishes, or used as a trail mix. Among the most common dried fruits are peaches, bananas, pears, pineapple, plums, and grapes. If you prefer the tons of vitamins and nutrients that vegetables offer, you can also choose to dry a wide range of options. Similar to dried fruits, they can be eaten as is or added to soups and stews for an excellent flavor. Tomatoes, mushrooms, and onions, like the sweet potatoes, should be blanched prior to dehydration to prevent discoloration. 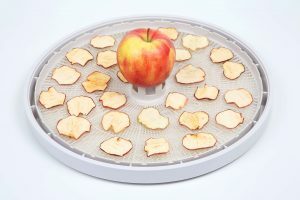 Other kinds of vegetables that can be dried using a food dehydrator are beets, carrots, greens, squash, peas, corn, pumpkin, celery, and broccoli. Definitely, meats can also be dehydrated and turned into jerky. Just make sure to use a pre-cooked, lean meat to lessen the risk of food-related illnesses. 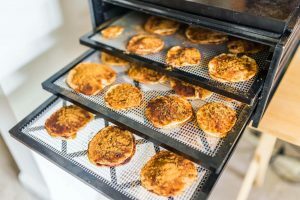 Now that you know how to dehydrate sweet potatoes in a food dehydrator, we are confident that you can use this knowledge to explore and try other recipes. 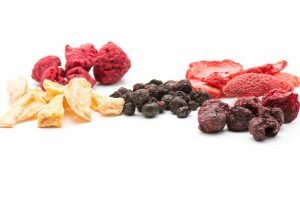 Dried food is very tasty and healthy, yet it is still important to indulge in fresh food as dehydration causes the loss of some vitamins in the food. 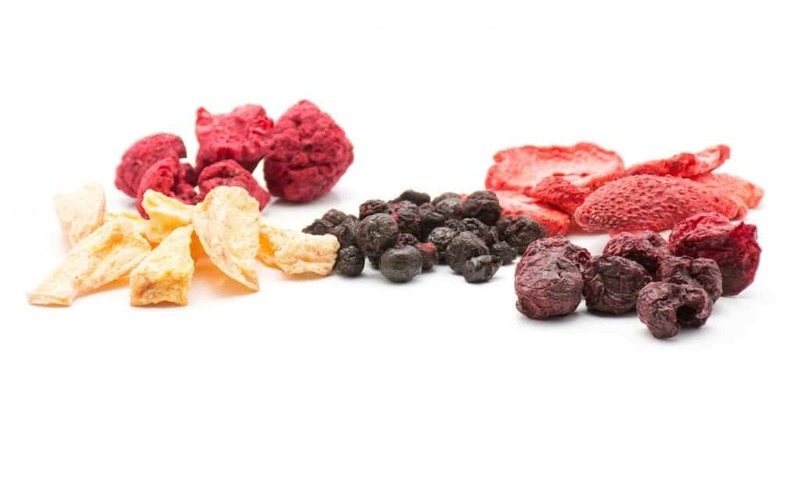 Lastly, do not forget to regularly mix up your dried veggies and fruits to evenly spread out any moisture. 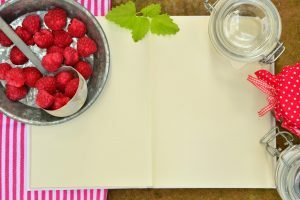 All dehydrated foods should be stored in an airtight container placed in a dark, dry, and cool area. Good luck!